Our July artist in resident, Lindsey Clark-Ryan, is a multidisciplinary artist who works primarily in installation and printmaking. She is interested in the precarious boundaries between two-dimensional graphic images and three-dimensional objects, between mobile and stationary, and between function and uselessness. Her work reflects a deadpan and absurdly precise observational attitude toward existing in and archiving the world. Clark-Ryan while during her residency in Red Hook is testing the interactive aspects of her ongoing project, a Guide for Returning. The project itself is centered around a kinetic approach to printmaking, so it makes sense that these interactive moments should also avoid being static. 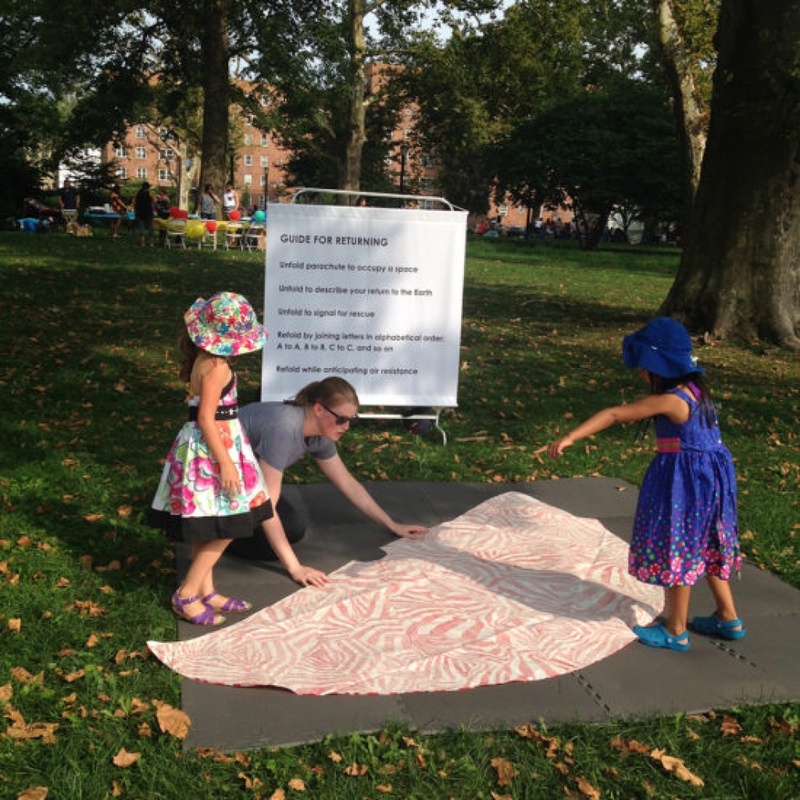 By setting up pop-up shows in various areas of Red Hook, Clark-Ryan hopes that participants can come up with their own terms for interacting with the project as they encounter it. Each person will translate it through their own experience, and she looks forward to being surprised by reactions and conversations she had not considered before.